Autonomy for the Swazis of southern Africa was guaranteed by the British in the late 19th century; independence was granted in 1968. Student and labor unrest during the 1990s pressured King MSWATI III, Africa's last absolute monarch, to grudgingly allow political reform and greater democracy, although he has backslid on these promises in recent years. A constitution came into effect in 2006, but the legal status of political parties remains unclear. The African United Democratic Party tried unsuccessfully to register as an official political party in mid 2006. Talks over the constitution broke down between the government and progressive groups in 2007. Swaziland recently surpassed Botswana as the country with the world's highest known HIV/AIDS prevalence rate. 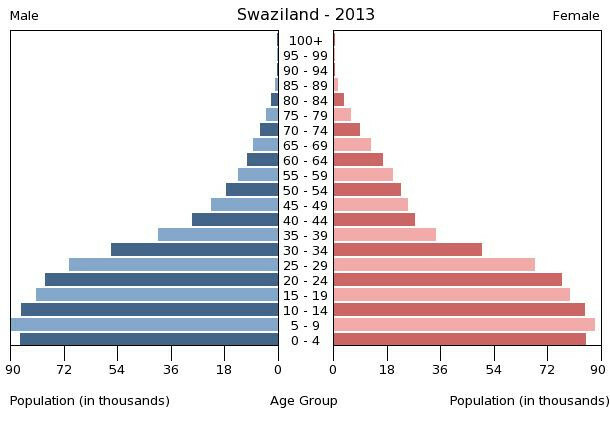 These are the 50 largest cities of Swaziland ordered based on their number of inhabitants.